Tens of thousands of inhabitants in the uprising neighborhoods of Homs have taken refuge in the new al-Wa’er district, on the outskirts of the city, turning it into a little Homs, where all civil activities take shape despite the regime siege, its shelling and ongoing clashes with oppositions groups. 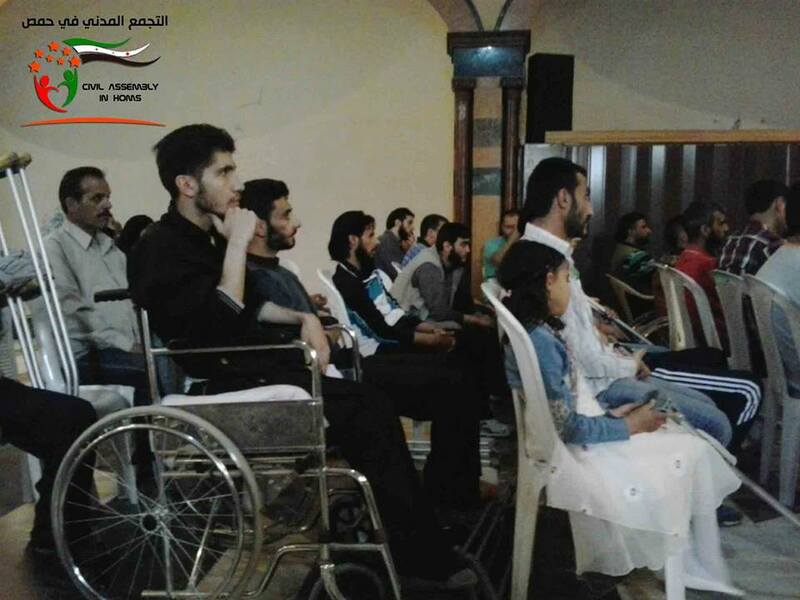 The Civil Assembly appeared in Homs in 2013, focusing its activities in al-Wa’er. 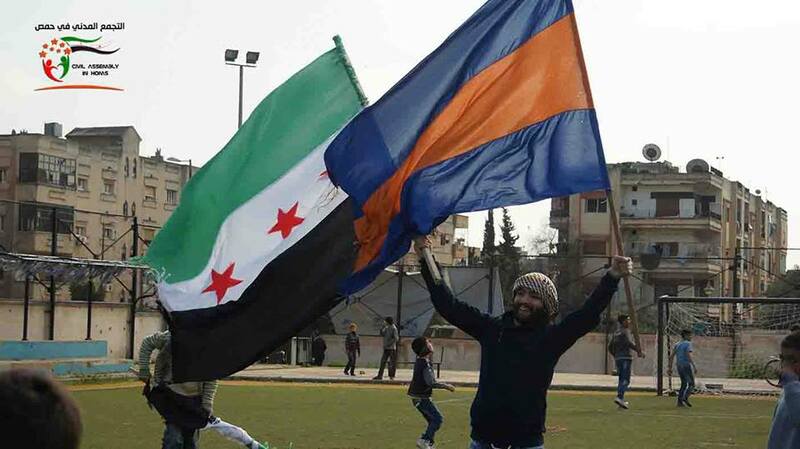 Its goals go beyond the given demands of toppling the regime to building the Syria its members envision. First on their list was catering to the basic needs of people, especially families that have lost their bread-earners to death or detention. Also due to the growing transgressions that hardships of war have propagated amongst people, one of their first missions was to establish a conflict-resolution office that is neutral and unaffiliated with any group in order to impartially fulfill its claimed mandate. The second aim was to resume education in schools. Due to the large numbers of displaced families, many school buildings had been employed as shelters. The Assembly arranged alternative housing for those families, rehabilitated the school buildings and thus enabled kids to go back to their classes after a full year of disruption. A campaign was launched by the assembly under the title “Take Me Back to School” during the toughest stages of the siege in 2014. The result was the reopening of nine schools according to Abu Faisal, Assembly spokesperson. From the school reopening campaign in Wa’er. Source: Civil assembly page, FB. Moreover, the assembly organized the “Freedom Marathon” in which hundreds of children participated, after restoring the Al-Hasan sports grounds from shelling damages and reopening it. A friendly match between the two famous teams of al-Wathbah and al-Karamah was held in March 2015, in memory of al-Karamah player M. Karim Jabr who was killed by a regime sniper, and that of Tarek Antabliy, al-Wathbah player that fell in the Idleb liberation battles. 2015 Wathbah-Karamah match in Al Hasan bin Al Haytham sports grounds. Source: Homs Civil Assembly FB page. As regime militia shelling from the nearby Military Academy and the Mazra’a village intensified, the Assembly created four large shelters to protect people during heavy attacks. This, however, was not enough to cater to the hundreds of thousands residing in the neighborhood. Hundreds were injured, some now suffer permanent disabilities. So an office for Impairment and Injury Support was established to follow up each case and provide socio-psychological attention through organizing activities and training courses aiming to reintegrate individuals into society and uplift their spirits. One of the meetings attended by many of the war-wounded and impaired. Source: Assembly FB page. Negotiations came to an end between committees representing armed al-Wa’er rebels and regime forces in December 2015. A truce deal was reached that included access routes to enter or exit the neighborhood for civilians who wished to do so. The Civil Assembly organized the process through establishing a passage at the Muhandiseen entrance square and managing registration points for those signing up to use it. The Assembly had previously also coordinated the meeting between UN envoys and al-Wa’er residents in August 2015. A committee was formed to oversee the flow of consumer supplies and medications through the passage, waiving taxes previously imposed on them and leaving their prices to be determined by the local market, in an attempt to maintain the stability of currency exchange rates and the usage of the Syrian Pound. 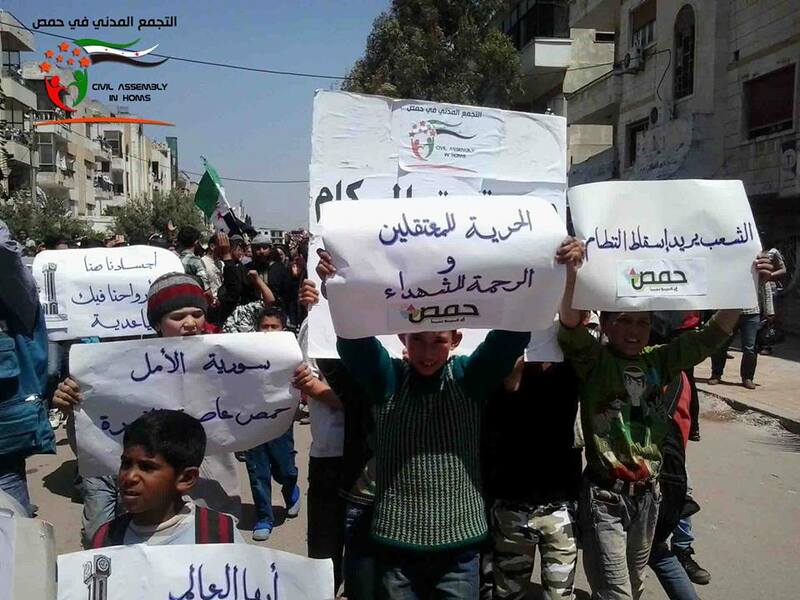 Demonstration in support of the detainees organized by the Assembly during the siege. Source: Assembly FB page. 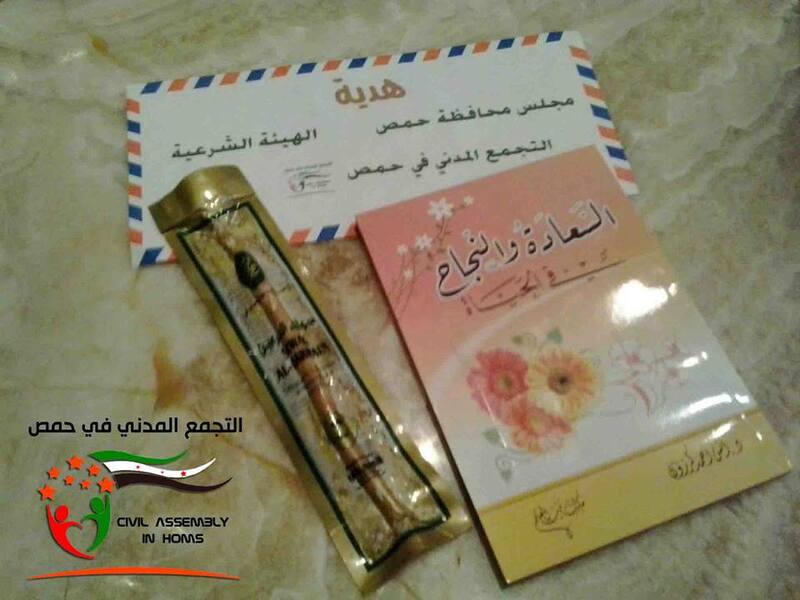 The Assembly has also launched various other activities in addition, such as group weddings, a memorial for the Clock Massacre, and support demonstrations for detainees and devastated cities such as Madaya. The Assembly’s vision was aiming to establish a similitude of a civil state in al-Wa’er. Motivated not only by the hardships but also by the new colorful community that was formed by the diversity of the city as it all came together in this neighborhood everyone sought refuge in. The full reflection of this richness, however, is yet to materialize in years to come.